As a business owner in today’s cut-throat business scenario, one would always like to be in an exceedingly advantageous position in winning over new purchasers, partners, and investors. Venturers facilitate the business on founded capital, steering it towards growth. 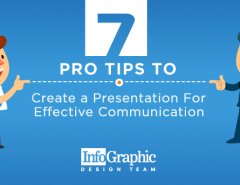 Fairly often you’re needed to create presentations that convert the potential turn into the favor of your business. 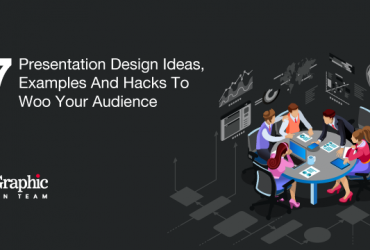 Building a decent Customized Presentation is indeed a job worth to hack the growth. Why? Because on the impression primarily created by the organization through the attractive and creative power-point presentation, it becomes easy to crack a deal. How to make a company presentation work in favor of growing your business? Customized Presentation designs are bound to get higher attention and engagement. There is nothing better than eye-catching designs that are inclined with the ethos of the brand. A slide entwined with the accents of the company’s theme colors, logos, motifs and other relevant visual elements will impress the audience raising the possibility of cracking the deal quickly. A power-point presentation that offers lucid data about the represented brand scores higher with the audience. Customized power-point slides are especially valuable for budding businesses who are always in the pursuit of their angel investors. Startups with presentations that speak of their vision and mission in the most interesting way, get the cream in the long run. Pitching a deck of impressive slides becomes easier to market the idea for any business, any day. Gone are the days when presentation speeches would carry the inner messaging and the audience would listen to it. Today, with the attention span of less than a goldfish, we seldom have the patience to listen to formal speeches. It is the slides that must do the talking on behalf of the brand, on the screen in the most lucid, informative and colorful way. While giving shape to your interactive and customized presentation, put the customer at the heart of your story. Presentations delivering good messages no longer need to be bulky and linear. You can now give focus to what your consumers want – their needs, wants, desires and challenges. Merely, customizing PowerPoint presentations is no longer an arduous task. By integrating various elements, you can build an interactive, innovative and intuitive presentation that is focused on customer conversations. Presenting a complex idea does not always have to be as twisted as the concept seems to be. Most of the presentations today are mind-numbing and full of jargons. They frustrate everyone from customers to company officials. What needs to be done? Make it visual. You can drill in further information which will make it even more compelling to your customers who will not turn down this form of information. Visual elements give consumers a better understanding rather than simple lectures. Want to ensure your presentations offer a bank of information? Ensure that you make good use of navigation and interactive elements. You might think of including all the information. This might create a big presentation. 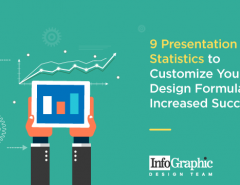 However, if you choose to create a customized design presentation, it might lower the burden and make your presentation the storehouse of a wealth of information. A presentation is a perfect tool to keep your pitch flowing. It assists you in establishing your points, convincing customers about a particular topic and creating more poise and confidence. Once you invest in delivering an interactive and intriguing presentation, it serves the purpose for the long term because of its consistency. What would you choose between one interactive presentation and a dozen long and tedious presentations? Having one interactive presentation is set to give your brand a more consistent image. The investment, creativity, design, and professionalism in the presentation will provide you a cutting edge over your competitors. If all the presentation structure tips are appropriately followed, it will help your customers in remembering your story and retelling it. This will add another point to your list of advantages. As they say, a presentation is more than just data visualization. It is a popular, growing and professional tool that you can use to meet your sales communications. Furthermore, it can aid your sales team to put their matter into one presentation rather than creating multiple options. You no longer have to take the trouble to create long presentations and go through slides after slides. If your slides are content-heavy, an interactive presentation is a good way to reduce the bulk of information. Customized Presentation doesn’t follow the usual concept of using the power-point themes to add to the presentation elements of design. It focuses on using interactive elements which might tickle the funny bones of your audience and ensure two-way communication. Furthermore, this two-way conversation might generate for you valuable information from your customers that you might need, in turn creating a more profitable discussion. Often, people go for the free available templates on the internet. They might look tempting but are not unique. A company has to keep in mind that other brands too might choose the exact design for presentation purposes. All the strategies, pitches and ideas can also hit the low point with pre-designed slides if the content to be pitched has to get compromised to be fit into it. In this case, comes the option of customized slides, designed by the professionals. 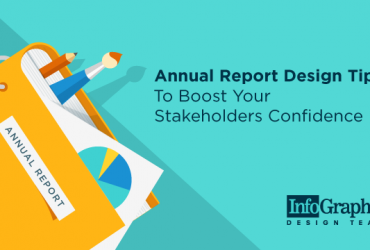 Choosing a customized design for your presentation might give your sales team a boost in confidence because of its ability to generate maximum engagement. Now that you are convinced for a customized design presentation, you might also consider hiring the presentation services of a professional agency or a power-point design agency. The perks that a brand can get for its presentation are many with customized designs. This presentation designing agency might give you some valuable and impartial advice. It is not easy to create a customized presentation design, but it is worth all the effort. A great presentation can assist you to communicate effectively with your audience, introduce your business and net clients or investors and grow your venture.